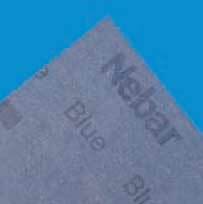 Premium quality nitrile based corkelastomer jointing, especially recommended for use with unleaded fuels. Previously designated Nebar® PR. • Exceptional resistance to a wide range of fuels, oils and solvents. • Suitable for many fluid sealing applications in the automotive, engineering and electrical industries. • Originally developed for use with Askarel transformer fluids. • 115°C maximum operating temperature in liquids. • Retains flexibility down to –5°C. Complies with ASTM P2245A; and ASTM F104 line call out F226000M1. Precision cut gaskets to any shape, size and quantity. In sheets 1.2m x 1.0m for 2mm thickness. Sheets 1.2m x 1.2m for thicknesses 3mm, 8mm.